Christopher Lee looks out on a cold, rainy day from the top step of the Dryhootch cafe on West National Avenue. Lee, who’s missing his three front teeth and has a bloodshot eye, holds a white cup in his right hand; the Milwaukee VA Medical Center, 5000 W. National Ave., sprawls behind him. And, while he wasn’t the best of the best, Lee, who did a five-month tour in Saudi Arabia during Desert Storm, didn’t do poorly either. 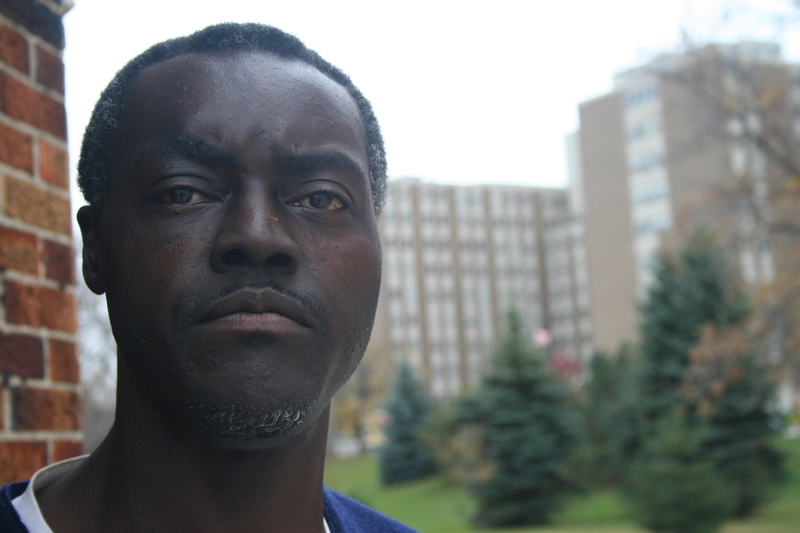 “There was nothing wrong with my service and doin’ my job, as far as what I could tell,” says Christopher. These days, Lee doesn’t get along with his family very well. “They think that I’m supposed to continue to give out of my pocket. I have a decent income (through his veteran’s benefits),” he says. “Yeah, I’ve been doin’ the homeless thing,” he says. He was enlisted for 10 years and discharged in 1999. But Lee was actually injured a couple years before — he had a spinal injury that paralyzed him for about four and a half weeks. He’s worried his body won’t make it through another Milwaukee winter. He even mentions the possibility of opening up a booth to sell clothing and cell phones with a military buddy of his. But, no matter where he ends up, Lee isn’t worried about looking too far ahead. Did you find value in Christopher’s story? If so, please subscribe to our newsletter; we publish the story of a different Milwaukeean every week.